Our Sweet Love Story: Saying goodbye! This week has been so busy with work and two law school finals that I haven't had the opportunity to devote time to doing a special post about a very important person and event. Monday morning (Brody's birthday actually), the week started out on a pretty sad note. Although we were prepared for the news, it still didn't make that early phone call any easier. I knew something had happened when my cell phone rang at 7:30 a.m. as my dad had been in California with his very sick mother for the last week and, of course, they are several hours behind us so it was still very early there. I couldn't reach the phone in time because of the difficulty of rolling out of bed these days, but I immediately called my dad back. His voice was pretty shaky as I knew he was having difficulty talking as he tried to tell me of Grandma's passing. It was all pretty quick as she had been really sick only a few weeks but gradually just getting weaker and weaker. At first, she was just battling a bad case of pneumonia but had to go to the hospital. Then, she was diagnosed with lung cancer. Yes, my Grandma has been a smoker all her life so although it wasn't entirely unexpected, it was still hard to hear. We are thankful she didn't develop this illness until very late in life though. She had started smoking in her younger years to help cope with more difficult life and family circumstances, and it was just a part of who she was. In some ways, I guess it helped her cope and be a stronger woman. She was always courteous about it to us and the kids and only smoked outside. It had become increasingly difficult on her in later years with the increasing ban on smoking in most locations (California is especially hard on smokers). But she continued to live and enjoy her life in the only way she knew. I can remember summers when she would come to visit when I was younger. Those lazy summer days were pretty much just ours while my parents worked. 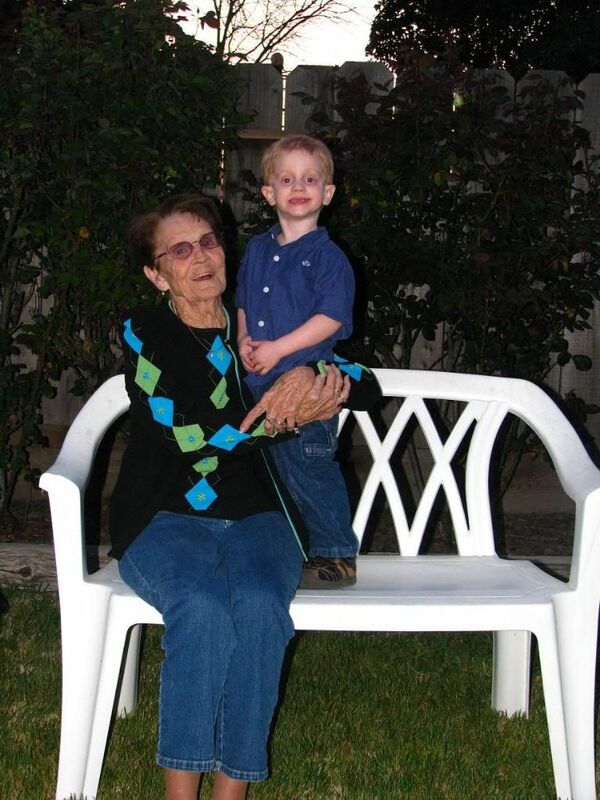 We would hang out around the house talking, walking around the yard, or visiting my Granny who lived down the road. She really loved my Granny too, and they got along great as they both loved talking about growing beautiful flowers and working in the yard. She was a friend to me. She made the trip for my wedding and then again about a year or so later to visit with Eddie and I at our first home together. 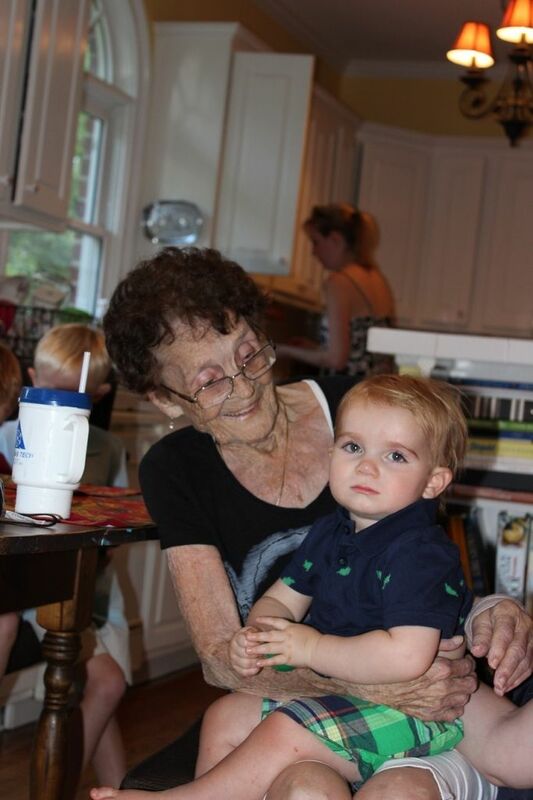 She also got to meet my niece, Emma, the oldest of my dad's grandchildren, as a baby. She didn't get to come out for a few years after that, but we took Evan to meet her in 2010. That was the most amazing trip! We got to celebrate her 85th birthday with her as well as do a lot of sightseeing. 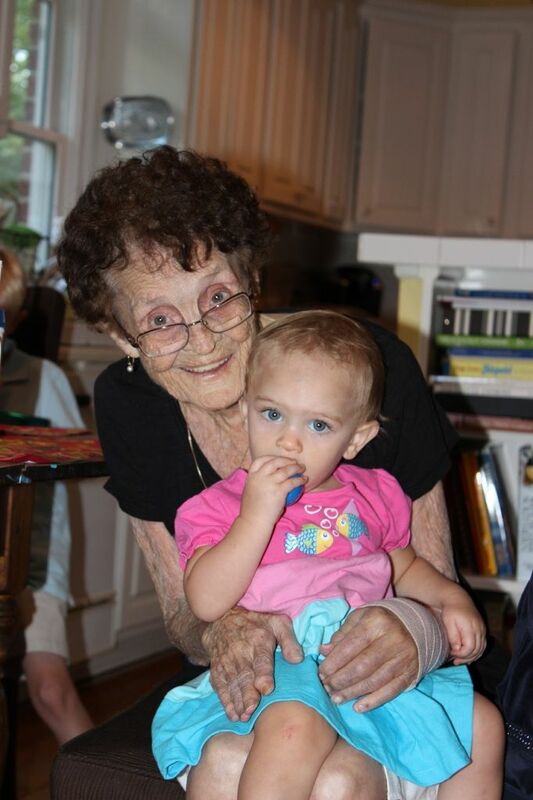 She was still feeling sprightly enough to trek across the country again to see us just last summer at 87. She also recently made a trip to Puerto Vallarta, Mexico with my Uncle Floyd to see his new condo. Her last year was definitely not void of excitement! 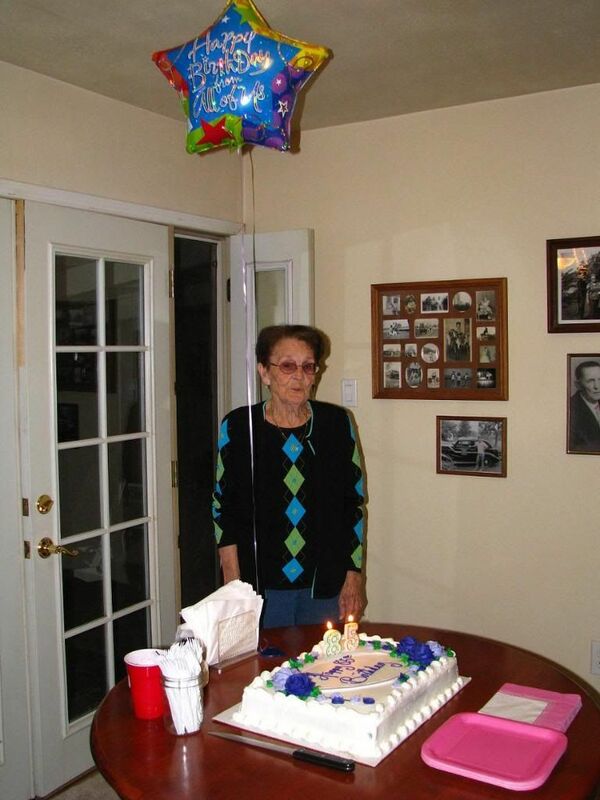 In March, she celebrated her 88th birthday, but her energy was beginning to go down fast as she suffered from the pneumonia and lung problems and just couldn't eat or keep her strength up. 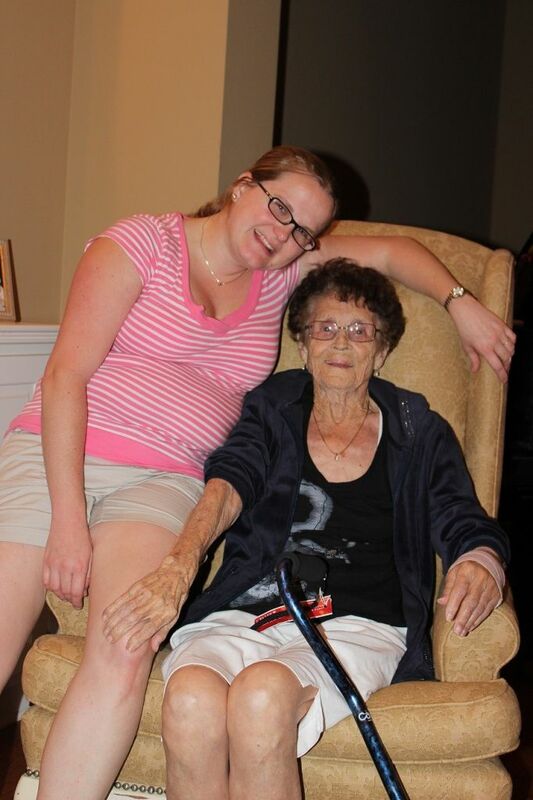 She was put into a nursing facility for a week or so but was able to go home and be with her family in her last days. All of her children were able to be with her despite them all being scattered across the country. We are just so blessed to have known this beautiful lady, and she will be so missed! 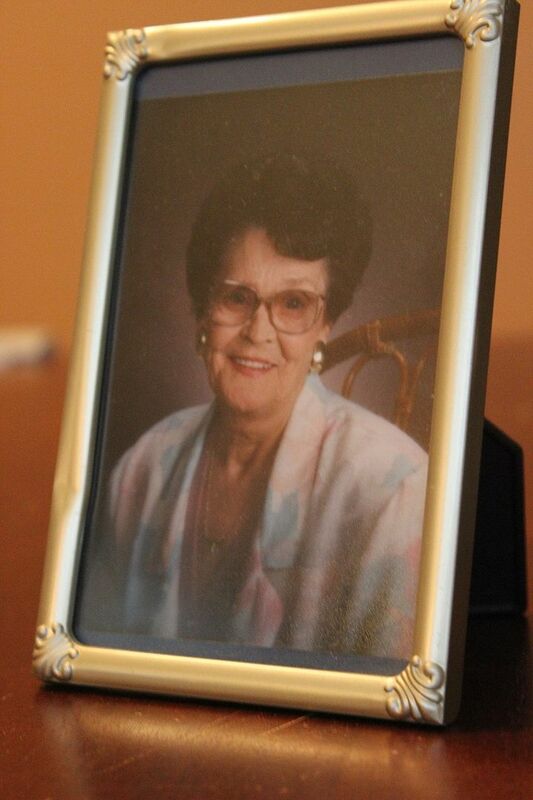 This is the picture of my Grandma that sits in our living room beside the picture of my Granny and a picture of Eddie's Grandmother Mattie and Grandpa Hudson. When I sat this picture on the table to photograph it, Brody came up and was looking at it and then blew a kiss to it. Melt my heart! Could he really remember a lady he only met once when he was barely a year old? Oh, I wish it was so! 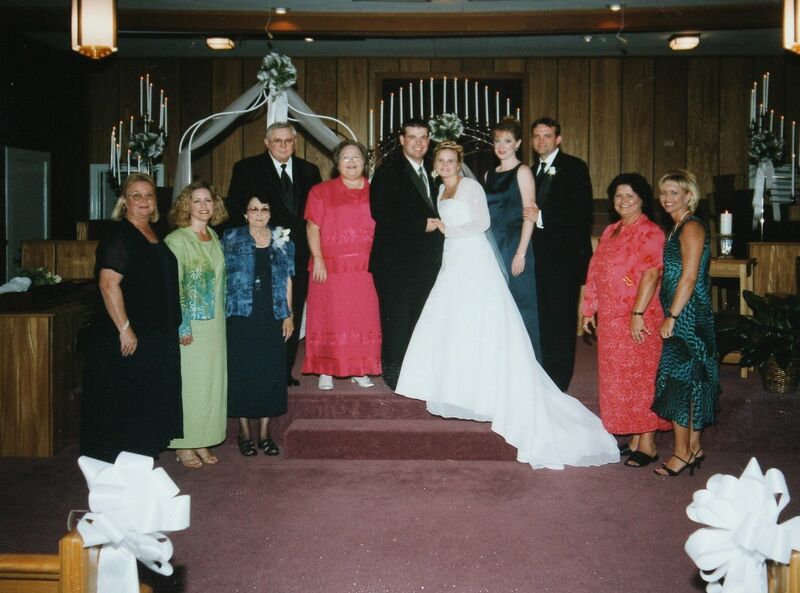 I love that my Grandma, Aunt Lorraine, Aunt Louise, and cousins Steph and Terri all came out for my wedding. I hadn't been able to see most of them in many years because of the great distance between NC and California so it was truly a special day. 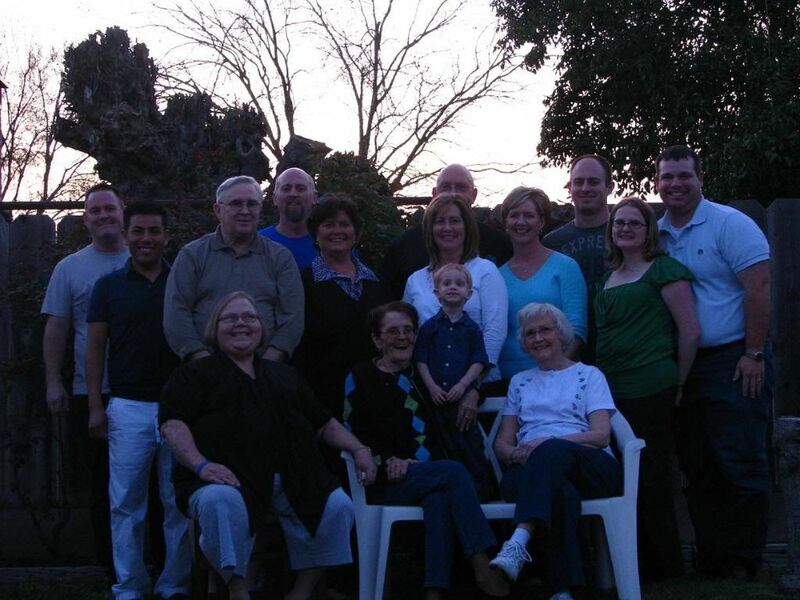 So many family were able to be together to celebrate this special day. Grandma was so happy. I hate that this picture had turned out so dark, but it was twilight outside so lighting was poor. 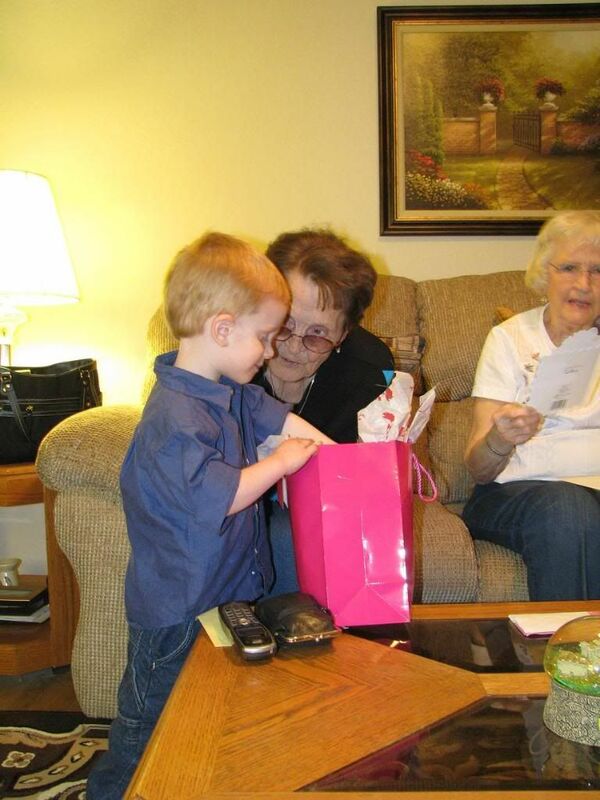 Evan loved helping Great-Grandma open her presents! So thankful she came out to visit us one last time last summer. All of these babies loved her! Me and my sweet, beautiful Grandma of 87. She also loved this not so little man. And sweet little Miss Cate too. We hope you enjoy your new home, Grandma! 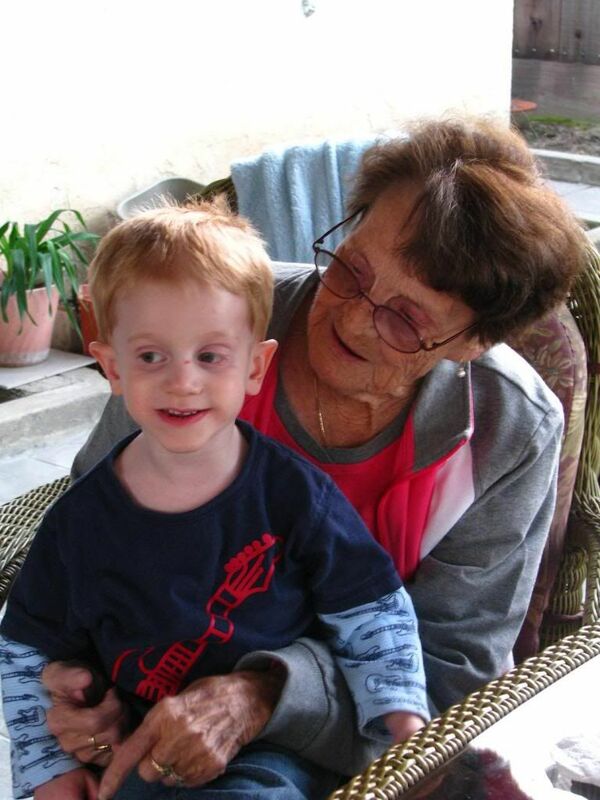 I had hoped to celebrate your 90th birthday with you, but I know you'll have a fantastic celebration in heaven. I love you bunches! I'm so sorry to hear about your grandma's passing Sherry. It is really hard when family lives so far away but it looks like you were able to build some amazing memories with her. Thanks, Natasha. It was a sad moment, but I guess in a way God kept me busy this week so I wouldn't dwell too much on the sadness. I think she is better off though and am glad she didn't suffer long with the lung cancer. I know it can be really hard to watch a loved one suffer through a terrible disease. I am so sorry for your loss. What beautiful memmories you have of her! I am so sorry for your loss. 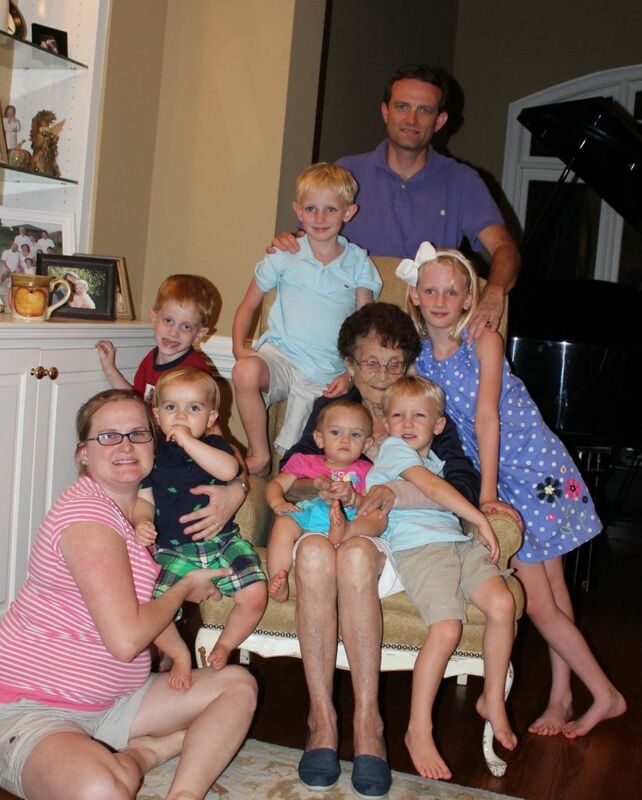 It is obvious that she was an awesome lady and very much loved by her family. Great photos!